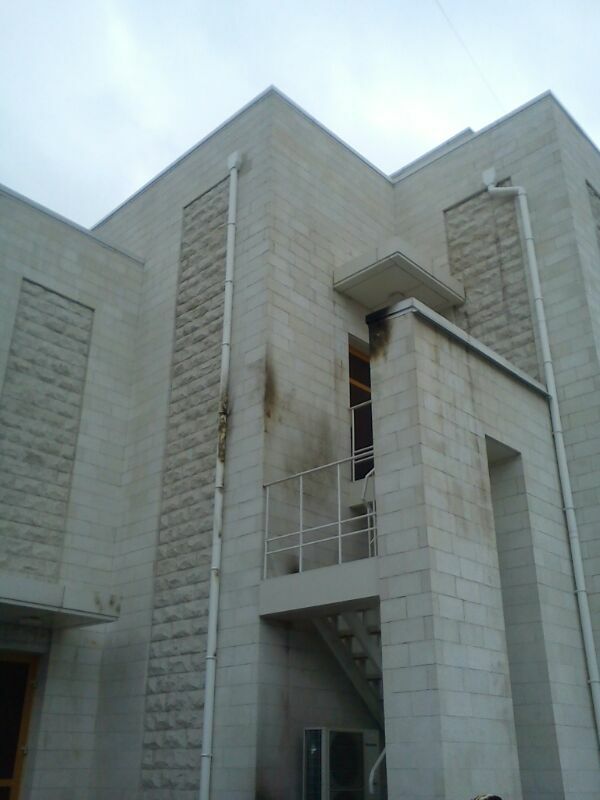 The Giymat Rosa Synagogue in Zaporizhia, southeast of Kiev, was attacked by unknown individuals over the weekend. A synagogue in eastern Ukraine was firebombed over the weekend amid the mass protests that toppled President Viktor Yanukovych, the International Business Times (IBT) reports. 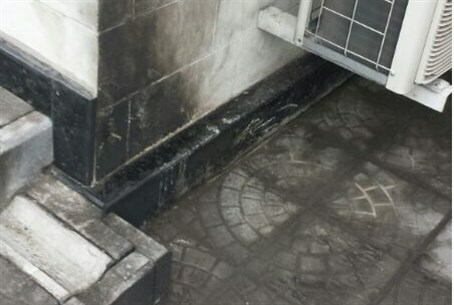 The Giymat Rosa Synagogue in Zaporizhia, located 250 miles southeast of Kiev, was attacked by unknown individuals, the report said, citing the Russian-language Timenews.in.ua news site. No one was injured, local authorities said. Minor damages were caused to the building. 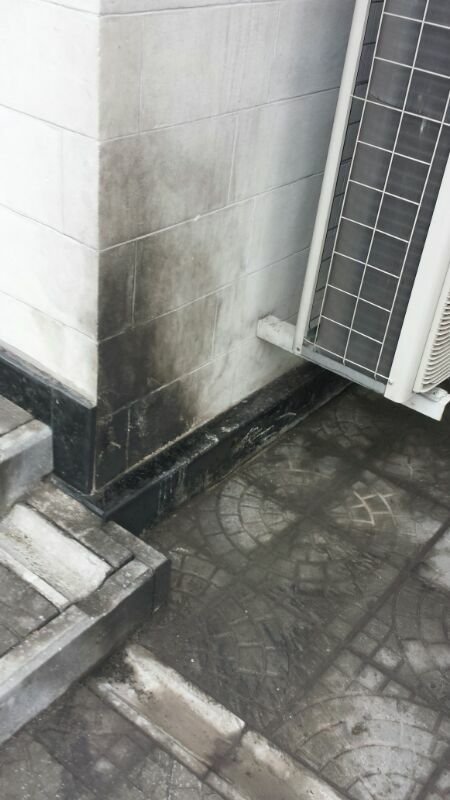 Photos published by the website showed traces of a fire on the facade a balcony. Security forces reportedly found pieces of a glass bottle probably used as a Molotov cocktail at the scene. Police said they were searching for suspects, noted IBT. The Chabad website said that the masked perpetrators managed to leave the premises without being apprehended by the community center’s security personnel but were caught on camera. Rabbi Nachum Ehrentrau, who also serves as chief rabbi of the city and the surrounding region, told the website that the center is frequented by dozens of local Jewish people on a daily basis, with up to 800 congregants attending High Holiday services. At the time of the attack, the building had been closed for the night, though Chabad Rabbi Michael Oishie had left just 20 minutes beforehand. “Our synagogue is surrounded by a barrier, the doors are all automatic, and we have round-the-clock security staff,” said Rabbi Ehrentrau. “In these uncertain times, we are, of course, even more cautious, doing all we can to ensure the safety of the community center and its visitors,” he added. 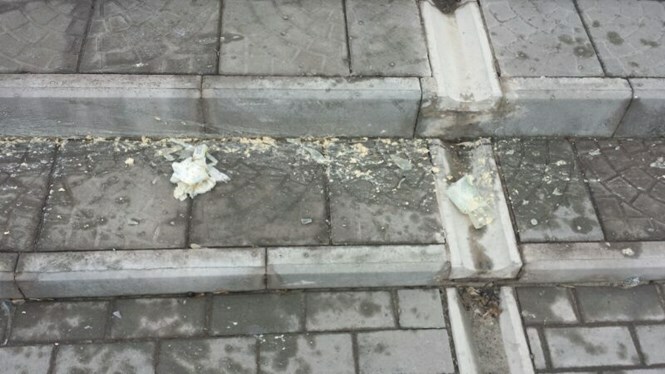 The firebombing of the synagogue came just several days after Arutz Sheva's Russian-language website reported that the Ukrainian police forces have been making open threats against the Jewish community there. They have also been promoting anti-Semitic propaganda, according to the report. Recent reports indicated that extremists have been targeting the Jewish community in Ukraine, including a member of the opposition. However, this is the first time that the police forces themselves have been implicated in anti-Semitic activity. Anti-Semitism in Ukraine has picked up throughout the unrest, which began in late November. In January, unknown assailants stabbed a hareidi man in Kiev as he was making his way home from synagogue on a Friday night. Several weeks ago, anti-Semitic graffiti was sprayed on a Holocaust memorial in the city of Alexandria. The Rabbi of the city of Kharkov, Rabbi Moshe Moskowitz, told Arutz Sheva on Sunday that a number of local Jews have already expressed a desire to leave Ukraine and emigrate to Israel. The unrest of recent month is what has brought this desire to the fore, he said.